Still doing tedious SEO tasks manually? It is time to change that. 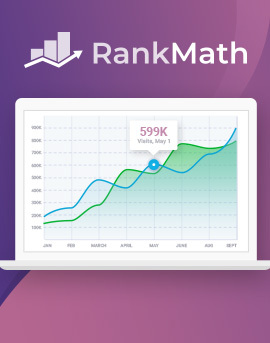 Rank Math automates your WordPress SEO, helps you optimize your posts, and gets you ranked higher. Content Locker Pro is the plugin that locks your content until visitors share, like or subscribe. This is a proven effective tool for growing your traffic and building your list! Content Locker is the fastest way to grow your social media following and mailing list. Swap content for likes, shares and opt-ins and see how quickly your influence can grow! URL Shortener is a simple-yet-powerful tool for creating shorter links. Ideal for social sharing, hiding affiliate links and more. With tons of power-user features! WordPress Quiz is a completely FREE quiz tool that will let you create endlessly customizable and highly professional quizzes for Your WordPress site. Easy to use, massive results! Showing recommended content on blog posts is a fantastic way to increase engagement and keep visitors on your site. WP Tab Widget Pro is the most powerful plugin there is for this purpose. My WP Translate is a powerful tool for translating WordPress sites into any language. Translate backend and frontend elements with a single click and take advantage of advanced features. WP In Post Ads is the ultimate plugin for managing ads in your WordPress posts. You can split test, control each post, display ads randomly, and show or hide ads after time. WP Notification Bars is a WordPress plugin that allows you to add your own lightweight, responsive notification bars to your website quickly and easily, and it's completely free. My WP Backup Pro is the best way to protect your data and website in the event of server loss, data corruption, hacking or other events, or to migrate your WordPress data quickly and easily.